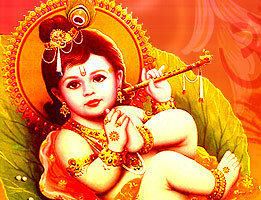 Janmashtami is the major festival of Hindus. Go through the article to know in detail that on which date is the Janmashtami in 2015. 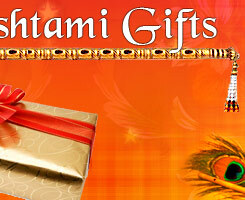 Janmashtami also known as Gokulashtami is celebrated all over the country with great gusto. On this auspicious day, Lord Krishna took birth to end the wickedness which was growing day by day during those days. This day holds great significance among the Hindus and the ardent followers of Lord Krishna observe fast. India is a country of diversity and thus, there is a slight difference in the rituals and traditions which are followed in various parts of the country. People sing bhajans, give performances on the life and great achievements of Lord Krishna during this festive time. The idols of Lord Krishna are decorated very beautifully and the houses and temples are also adorned to welcome Lord Krishna. Till the date, Lord Krishna is showing His followers the path of honesty, truth and kindness through the holy book called Bhagavad Gita. Read the article to know more about the importance of Janmashtami along with the date on which it will be celebrated in 2015. According to the Hindu calendar, Janmashtami is celebrated on the 8th day of the Krishna Paksh or the dark half under the nakshtra Rohini, in the month of Shravana whereas as per the Gregorian calendar, it comes in the month of mid August-September. The Shravana month corresponds to the month of Bhadrapada Krishnapaksha, according to Barhapatyamana. It is said that Lord Krishna took birth in the year of Visvavasu, about 5,227 years ago. He was the avatar of Lord Krishna which came to the earth in Dwapara Yuga. In present time, this festival is rejoiced for over two days because the nakshatra called Rohini and the 8th day of Krishna Paksh may not fall on the same day. This is why this festival is celebrated for two days, in which the first day is known as Krishnashtami, as on this day Lord Krishna took birth which comes on the eighth day after the festive occasion of Raksha Bandhan whereas the second day is called as Kalashtami. The festivities of Janmashtami start at midnight because it is said that God made his celestial appearance on the earth during this time. Conch is blown and the idol of Lord Krishna is given a consecrated bath with panchamrit and then with gangajal. After this, people perform special puja, perform aarti, offer sweets, fruits and fresh flowers as a tribute to the God. Also, they rock the cradle which indicates that Lord Krishna has taken birth. After performing the rituals, people break their fast by having the prasad. The main objective of the coming of Lord Krishna on this earth was to make the people and the Mother Earth free from the evilness of the demons. He also played a very significant role in Mahabharta which was the legendary battle took place in Kurukshetra. He spreads the message of love, kindness, humanity, pure bhakti and good karma on the earth. In 2015, the festive occasion of Janmashtami is on 5th September (Saturday).